Surprise! 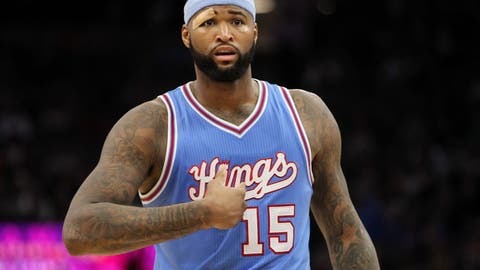 DeMarcus Cousins is reportedly back on the trade market, thanks to a combination of his own outbursts and the inability of the Sacramento Kings front office to make up their minds. 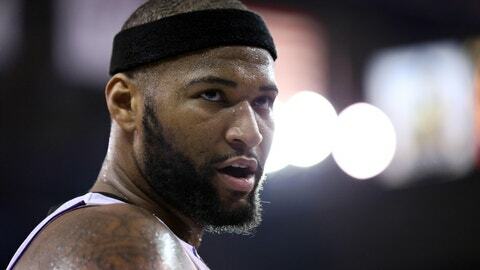 Yahoo’s Adrian Wojnarowski reports the Kings discussed a potential Cousins trade with the Pelicans during this weekend’s All-Star festivities in New Orleans, with other sources indicating the Pelicans started the conversations and that New Orleans offered rookie Buddy Hield and multiple first-round picks. Less than two weeks ago, Sacramento GM Vlade Divac publicly insisted Cousins wasn’t going anywhere. So why the sudden turnaround? Enter Kings owner Vivek Ranadive, who suddenly has questions about Cousins as a franchise player. In recent weeks, Ranadive has become more open to the front office’s willingness to trade Cousins, passing on the commitment of a five-year, $209 million designated maximum contract extension this summer, league sources said. Cousins’ uneven behavior in recent weeks has softened Ranadive’s resolve to hold on to Cousins. Two incidents in particular – an expletive-laced remark Cousins made about Golden State after Sacramento’s overtime win over the Warriors on Feb. 6 and the astonishing 17th technical foul this season, and resulting one-game suspension, against New Orleans on Feb. 12 – have caused Ranadive to have serious concerns about tethering the franchise to Cousins long term. As a result, Ranadive has started to adopt management’s concerns about Cousins’ temperament to become a franchise pillar, sources said. Nevertheless, Ranadive has gone back and forth in recent days about his willingness to ultimately unload Cousins, sources said. So after years of giving Cousins no consistency by firing multiple coaches, and after repeated failures to build anything resembling a contender around the big man, the Kings finally came to a point where they and Cousins were ready to move forward. He’s stated multiple times over the past month he wants to remain in Sacramento. He likes the city. He likes the organization (for some reason). And he likes the money he’ll get with a maximum contract extension. The Kings, in turn, said, “Sure, DeMarcus! We like you, too. We’re not sending you anywhere, we promise,” which implies they understand Cousins’ warts as a player and leader. They essentially told Cousins to trust them. Everything should have worked out from here. And now … this. The Kings find new ways to define dysfunction on a weekly basis. If they wanted to trade Cousins, they should have made that clear a long time ago. A smart organization might have used this leak to ferret out better offers, but this is Sacramento. This is who the Kings are — the NBA’s greatest evidence of how much ownership matters if you want to win championships (or, you know, make the playoffs every once in a while). It’s enough to make you feel sorry for Cousins, even if some of the wounds are self-inflicted. 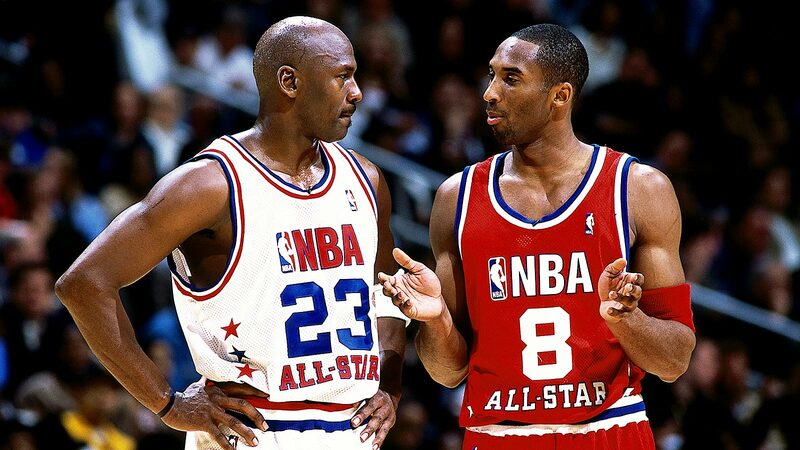 On the bright side, the next four days before the Feb. 23 NBA trade deadline just got a lot more interesting.